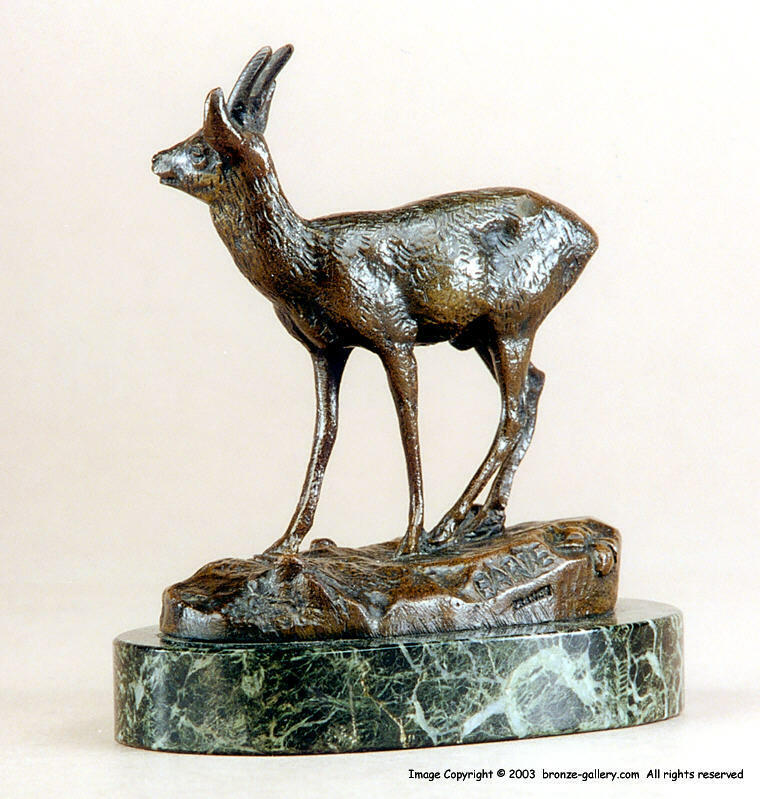 This small delicate model of a Kevel antelope was first sculpted by Barye in 1825 while he was studying under the goldsmith Fauconnier. Barye did a number of small sculptures of rabbits, hares, deer and antelopes during this time and these small animals are quite a contrast to the powerful muscular big cats that he became known for in later years. The Kevel antelope was never edited in large numbers so it is a fairly rare model. This bronze was cast some years later than its original creation in the 1820s, it lacks the superb detail of an early cast so it was probably cast in the 1870s. 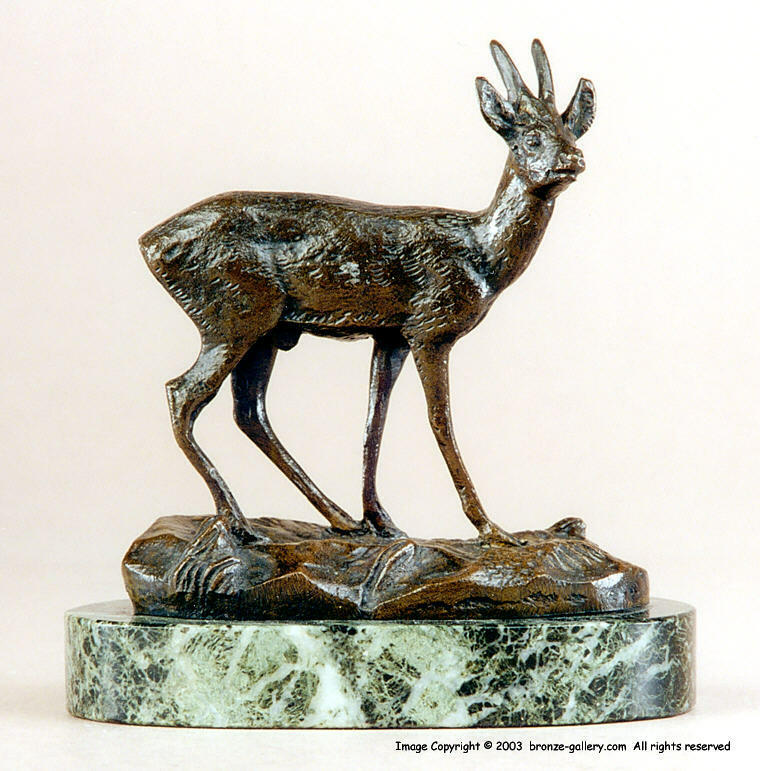 The bronze has a dark brown patina and is mounted on its original 5/8" by 3 3/4" marble base.